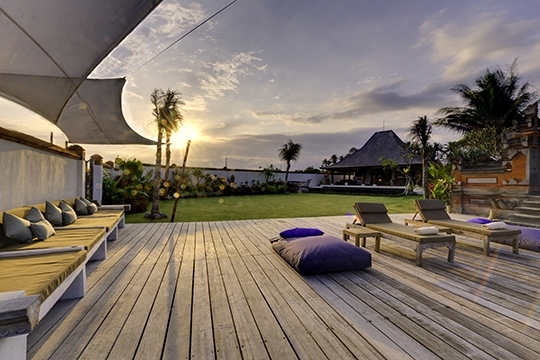 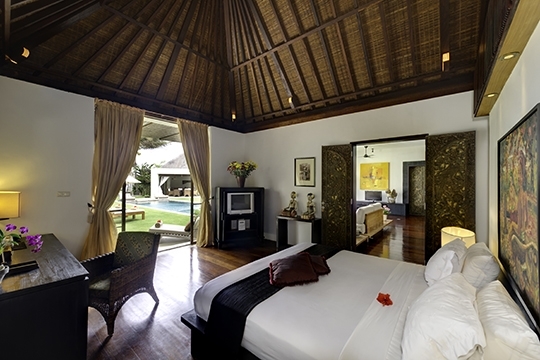 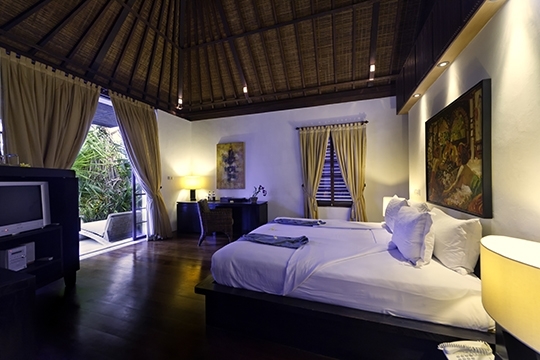 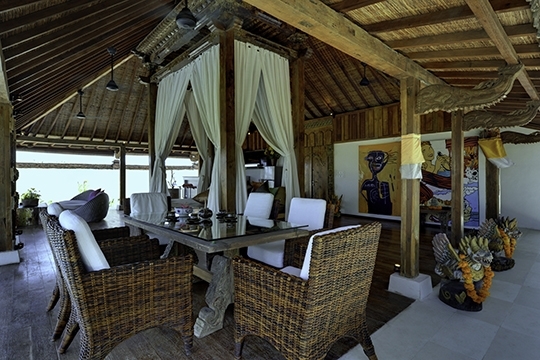 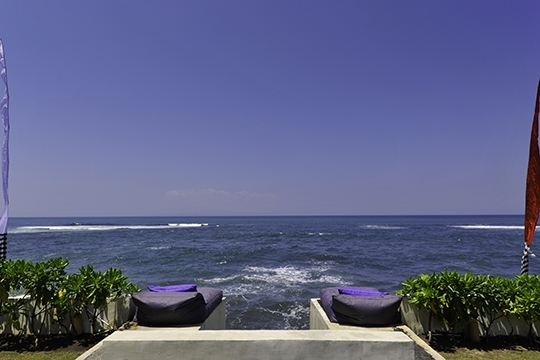 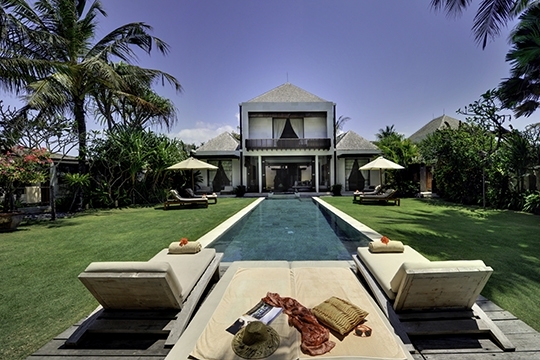 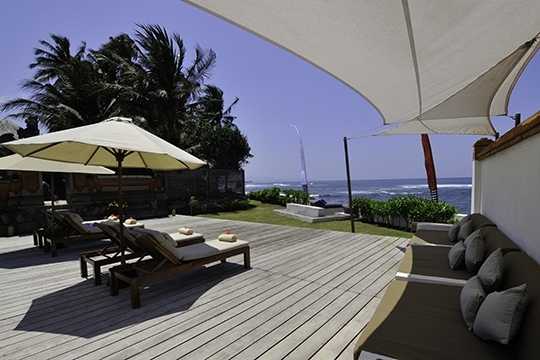 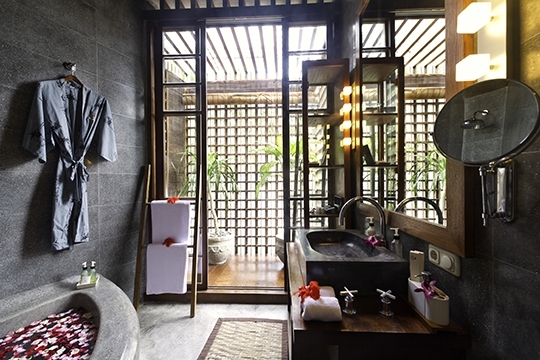 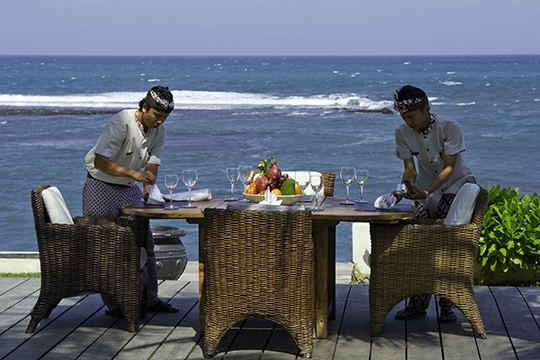 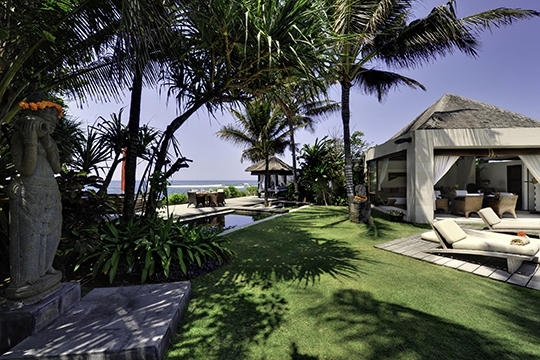 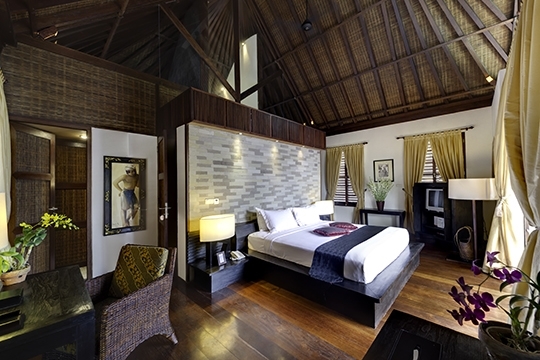 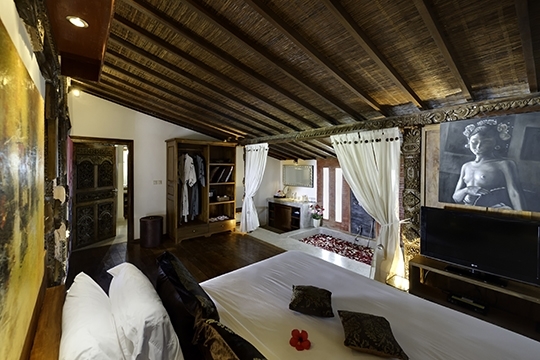 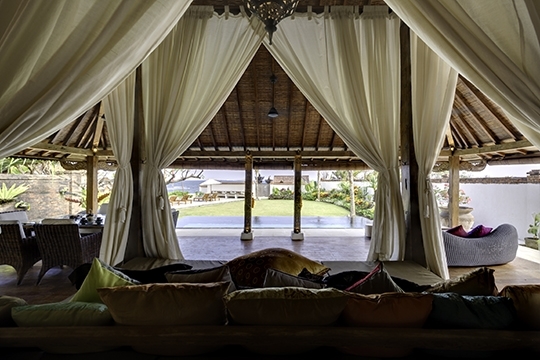 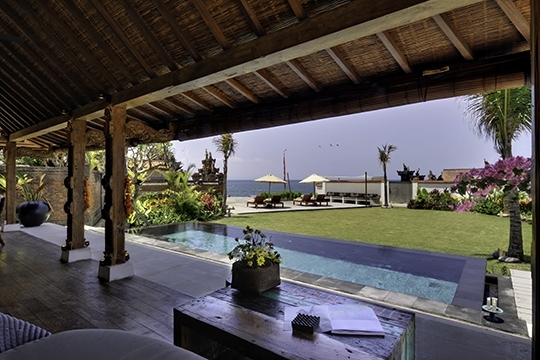 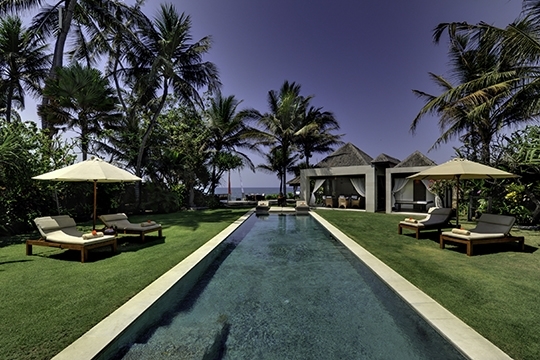 Majapahit Beach - Villa Maya - an elite haven | Pictures, Reviews, Availability | Bali Villas: Private and Luxury Vacation Rentals in Bali. 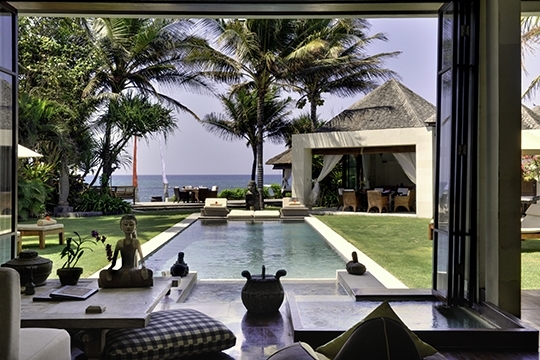 The four-bedroom Villa Maya is situated absolutely beachfront on the glistening black-sands of Pabean Beach on Bali’s south-east coast. 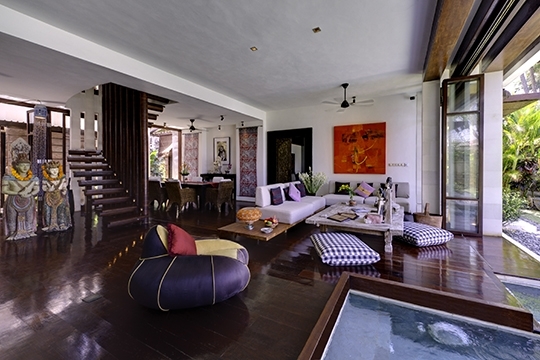 This beautiful, eclectic villa presents indoor and outdoor living in a three-bedroom main house and a one-bedroom honeymoon villa, linked by a door in the garden wall, and each with its own private garden, pool and seaside deck. 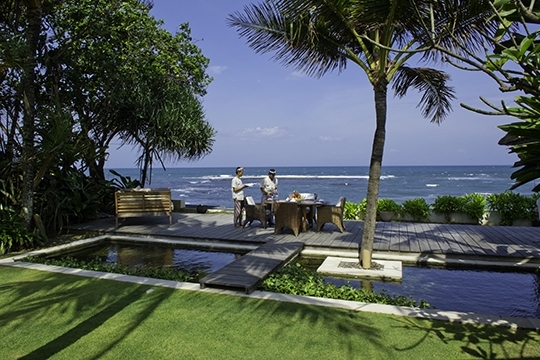 Ideal for brides and grooms and their friends, Villa Maya specialises in beachfront weddings for up to 100 guests who can look forward to glorious coastline views and a five-star standard of service within the calm tranquility that is the true essence of Bali. 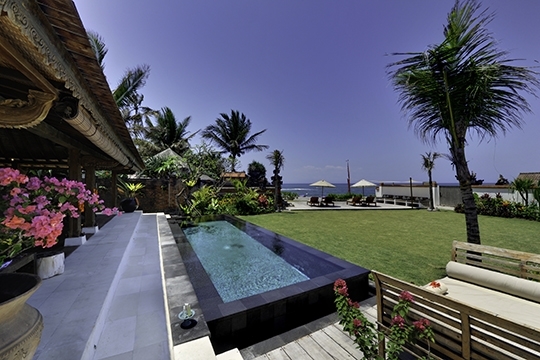 (For the whole complex) villa manager; assistant manager; 6 butlers; chef; 4 kitchen staff; 6 housekeepers; 5 gardeners/ pool attendants; 5 security guards; 2 on-site masseuses; 2 maintenance; front of house receptionist; babysitter (extra/on request). 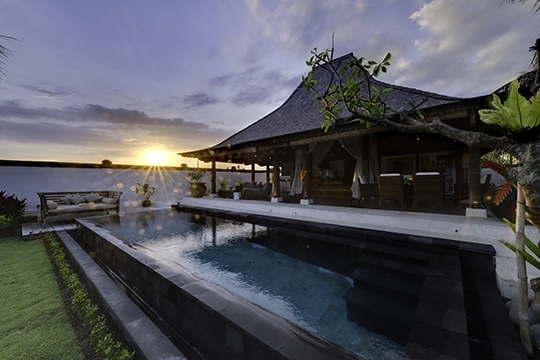 1,800sqm (includes 700sqm for Joglo).